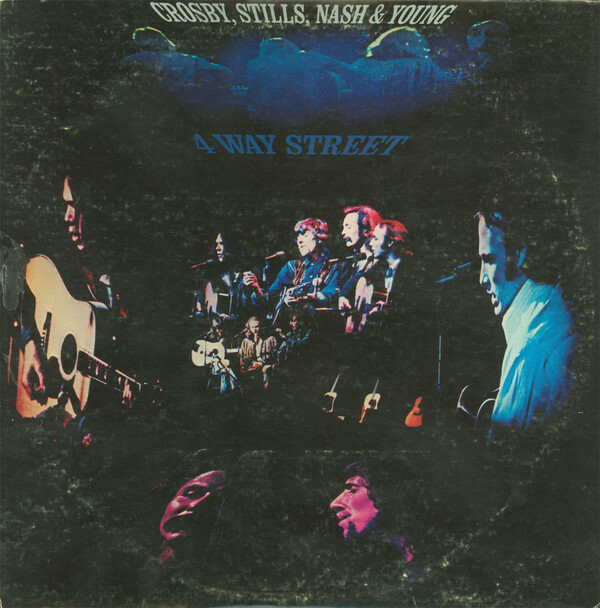 Crosby, Stills & Nash (at times known as Crosby, Stills, Nash & Young) is a pioneering folk rock/rock supergroup that formed out of the remnants of three 1960s bands: Buffalo Springfield, the Byrds, and the Hollies. The band is primarily known for their three- (and sometimes four-) part vocal harmonies. 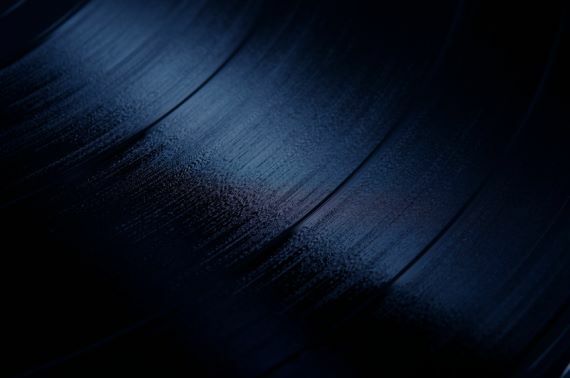 They have a strong association with the Woodstock Festival, and they are one of the few North American groups that rivaled the Beatles in popularity in the late 1960s and early 1970s. 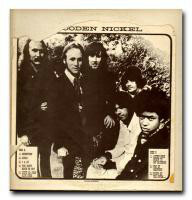 They are commonly referred to by their initials CSN or CSNY. The group began when the Buffalo Springfield were falling apart. Neil Young failed to show up for their set at the Monterey Pop Festival in 1967. 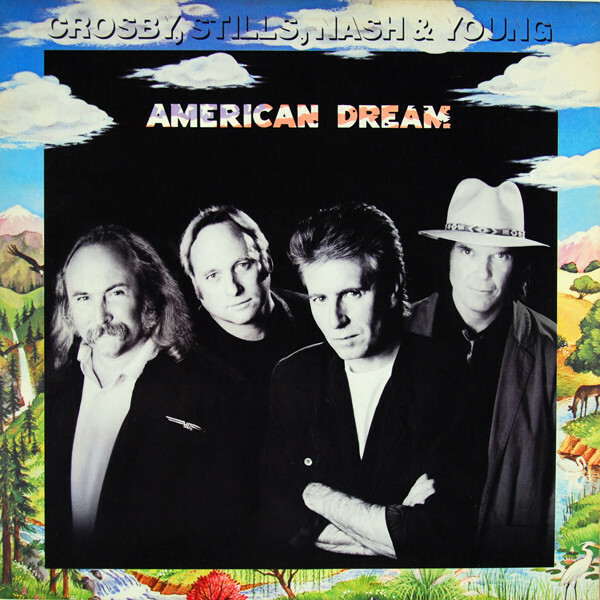 As a substitute, David Crosby was invited to sit in by Stephen Stills. After Buffalo Springfield broke up and Crosby was dismissed from the Byrds, he and Stills began meeting each other and jamming. 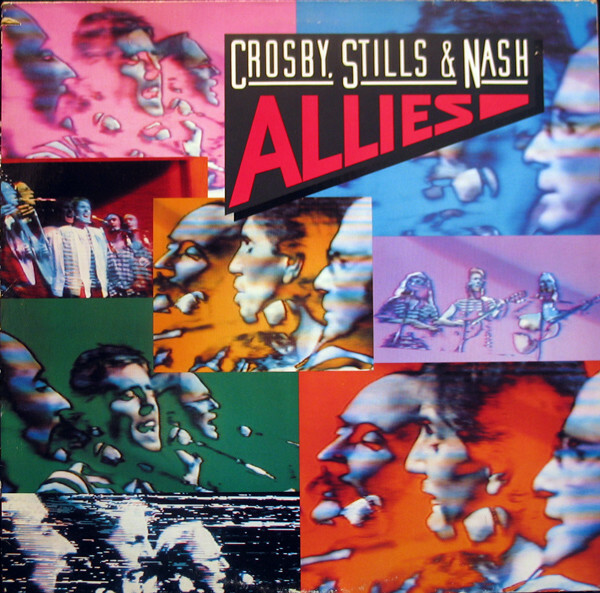 When the Hollies ventured to California in 1968 while on tour, Graham Nash was introduced to Crosby by Cass Elliot of the Mamas and the Papas. 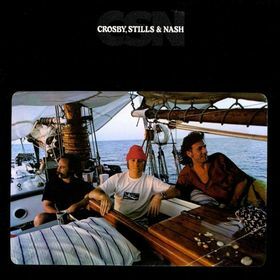 At a party at either Joni Mitchell's place or John Sebastian's (depending on whose memory you trust), Nash joined Stills and Crosby to add additional harmonies to Stills' "You Don't Have To Cry." 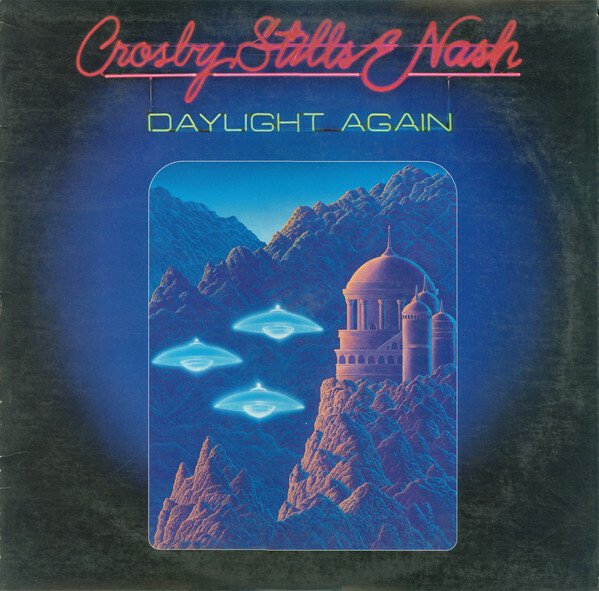 Creatively frustrated with the Hollies, Nash decided to join with Crosby and Stills. After a failed audition with the Beatles' Apple Records, the trio was signed with Atlantic. 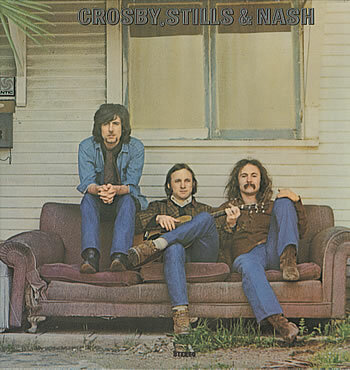 Crosby, Stills & Nash (1969) was an immediate hit with several hit singles and rock radio tracks. 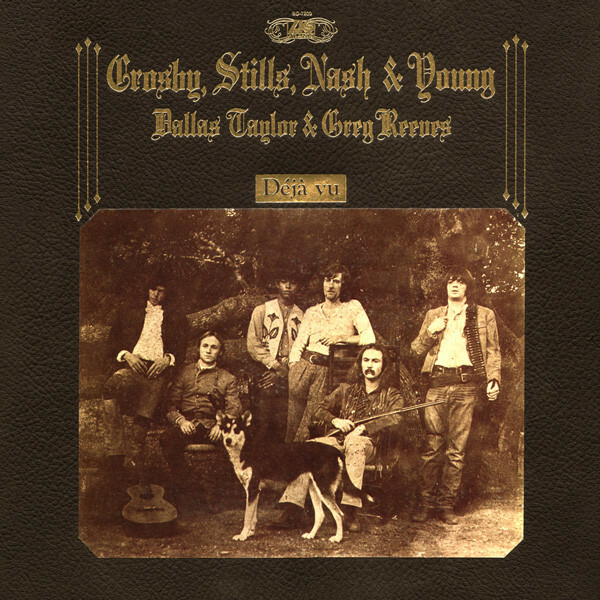 Only one outside musician (Dallas Taylor on drums) appeared on the record. 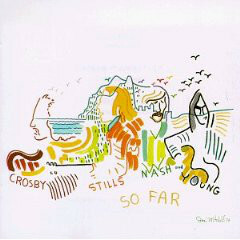 Stills contributed lead guitar, bass, and organ, and Crosby played rhythm guitar. Because of this CSN had to audition musicians in order to tour. Neil Young was added as a full member so that all four could play keyboards during shows. From the onset, it was made implicitly clear that Young would maintain a solo career with his band Crazy Horse in addition to working with CSN. With Young on board, the group went on tour. Their second live performance was at the Woodstock Festival. 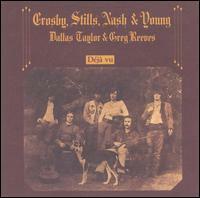 Their first album with Young, Déjà Vu came out in 1970, and was another hit. 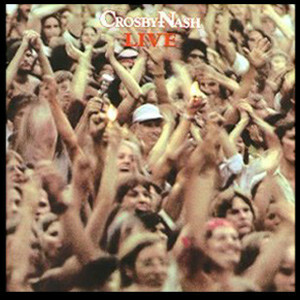 In May of that year, Crosby gave Young the Life cover featuring the Kent State massacre which inspired him to write "Ohio," another Top 20 hit for the group.